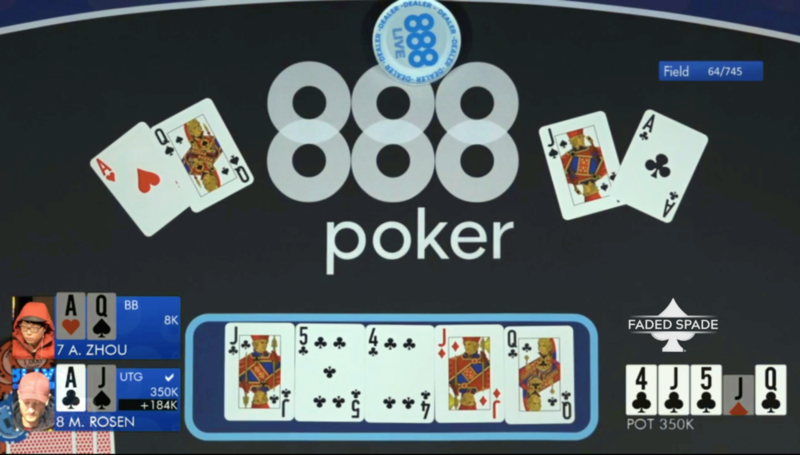 Faded Spade RFID poker playing cards were in action during the recent 888poker LIVE London 2019 Kickoff Event at Aspers Casino from February 7th – 10th. Due to their high quality, 888poker LIVE will again use Faded Spade RFID cards at their next event in Bucharest this March. Faded Spade RFID cards have been used internationally in Europe and the Asia Pacific with organizations like the World Poker Tour, Japan Open Poker Tour, 888Poker LIVE and more. In North America, Faded Spade RFID poker playing cards are consistently used on TV and live stream productions with the WPT, Heartland Poker Tour, Run It Up, Solve for Why Academy and PokerGO. If you would like to inquire about Faded Spade RFID poker playing cards for your live stream production, email sales@fadedspade.com. If you’re a poker room that wants to upgrade to Faded Spade cards, visit our Faded Spade Poker Room page and fill out the contact form or ship us an email. If you’re a player, get your set of the new face of cards and preferred playing cards of the WPT!